Not that I am surprised based on the trailers and description of the reworking that the response to Universal's new version of The 47 Ronin is universal scorn. Will this new version inspire a new audience to seek out any of the previous versions? There might have been more interest had the film contained a bit of commercial viability and some critical praise. More likely, it may give reason to those who take film history seriously to see one of the earlier films. Whether the title incorporates the Japanese Chushingura or 47 Ronin, or uses an altogether different title, there are at least as many film versions as there are masterless samurai, with the earliest known version produced in 1907. I'm not certain if any version is considered definitive. Certainly Kenji Mizoguchi's 1941 is held in high regard because it's by Kenji Mizoguchi. Hiroshi Inagaki's 1962 version was the first to get a U.S. release, while the 1958 film by Kunio Watanabe has a cast that includes more internationally recognized stars including Machiko Kyo, Shintaro Katsu, Ayako Wakao and Kazuo Hasegawa. These versions generally follow the same story line. A daimyo, Asano, perceives an insult from an official, Kira, cutting him with a sword rather than take the insult. For several reasons, Asano is forced to commit seppuku, and his fief is abolished. Asano's three-hundred retainers are now ronin, masterless samurui. One of the top ranking members, Oishi, organizes a plot seeking revenge. The previous three films concentrate more on discussion of the nuances of protocol and the meaning of samurai loyalty. 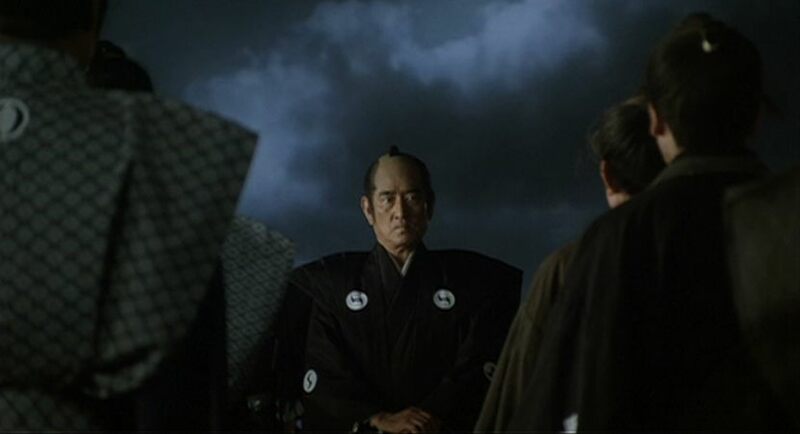 Perhaps done with the sense that the core audience was overly familiar with the basic story, Kon Ichikawa chose to concentrate more on Oishi's strategy for revenge. The scenes involving Asano and Kira are fleetingly told in flashbacks. While we see Asano injure Kira, the actions that lead up to this incident are not seen, nor any motivations discussed. Even when confronted by Oishi, Kira is unable to explain or justify what had happened. Those looking for straight out samurai action might be disappointed. The there is the confrontation between the ronin and Kira's men, and it does have its bloody moments, the bulk of the film is about Oishi planning the attack, and the counter-strategy devised by Kira's retainer, Irobe. As Oishi, Ken Takakura is more contemplative here than in the action films that established his stardom in Japan, or the film that introduced him to a larger western audience, The Yakuza. Ruriko Asaoka shines briefly as Oishi's wife. What I really liked were shots that some might consider extraneous to the narrative - a bamboo forest, branches of cherry blossom trees in different seasons, the colors and textures of stone walls. 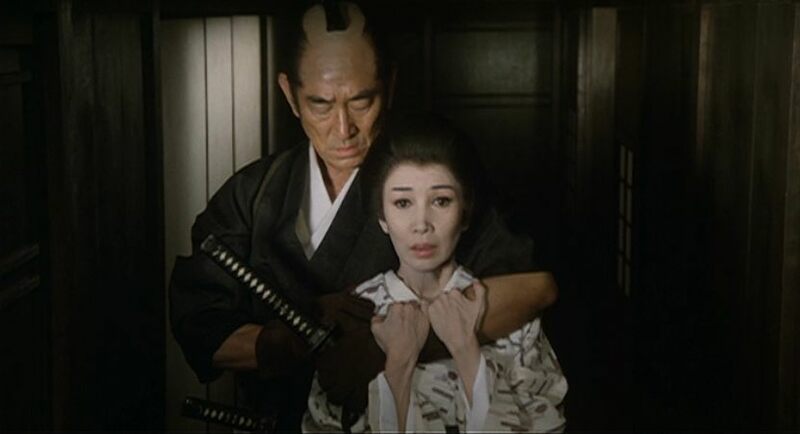 The 47 Ronin represented a late period resurgence for Kon Ichikawa, 79 years old, and still active as a filmmaker for a dozen more years. 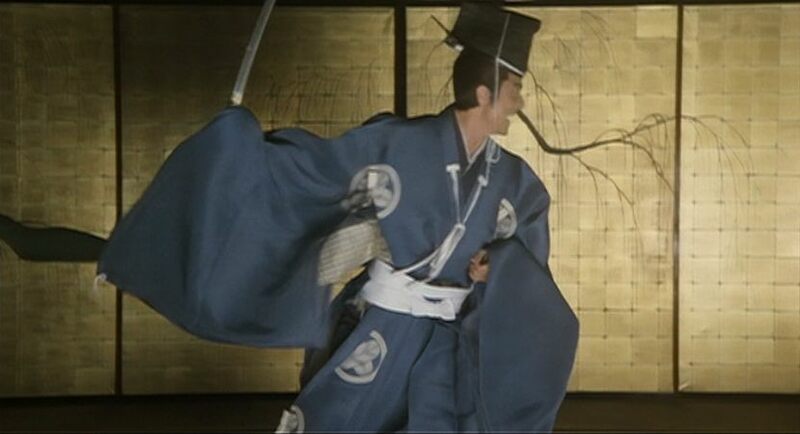 The film earned eleven nominations for Japan's film academy, winning four, including one for supporting actor Kiichi Nakai as Irobe. Those especially unfamiliar with the story would benefit from the DVD extras which AnimEigo has excelled at, including the historical background of the story, some history about the various film versions, as well as explanations regarding various aspects of Japanese culture specific to the 18th Century.